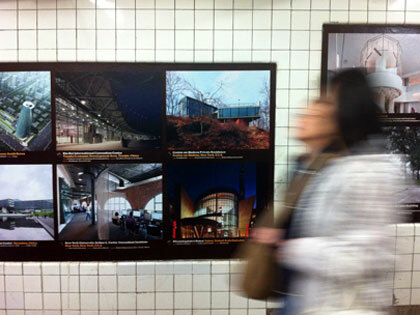 This week the AIA New York Chapter / Center for Architecture took over the West 4th Street subway station to present Made in New York – an architectural showcase of projects by Chapter members. 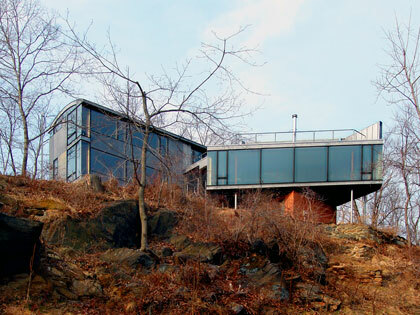 Elemental Architecture's new Private Residence in Croton-on-Hudson is among the work featured in the exhibit. 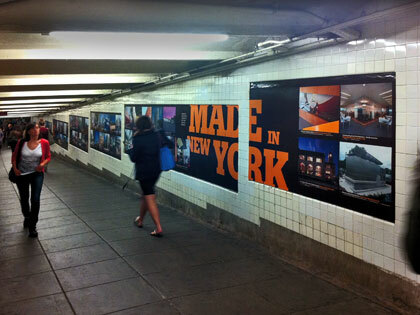 Made in New York features work of all scales & types – small, large, commercial, residential, public, private, interiors, historic preservation, engineering, landscape and urban design – presenting the scope and quality of work being done by AIA New York Chapter members across the globe. This high-visibility exhibition offers a snapshot of current practices and celebrates the diversity of the Chapter’s membership. The exhibit runs through the end of October. For additional information on the exhibit click here. To see more images of the Croton project, visit us on Facebook.